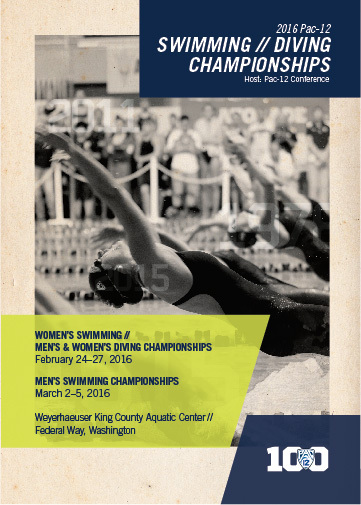 Thank you for swimming at PNA Champs this weekend! We hope everyone enjoyed the meet and would love feedback. Please feel free to leave comments below. Looking for opportunities to get out in the water and practice your open water skills? Here are a couple groups that are passionate about their open water swims! Scott Lautman completes Triple Crown! Congratulations to Scott, who completed his Catalina Channel crossing in tandem with Marcy MacDonald (Andover CT) in a time of 12 hours, 9 minutes, on June 25. With this swim, both Marcy and Scott completed the third tier of their Triple Crown. Open water swim season is just getting started! Here is the list of swims we will have swimmers at. 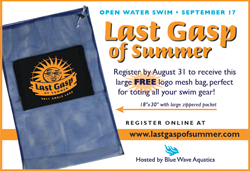 Please for sure plan on swimming and help us promote Last Gasp Of Summer swim www.lastgaspofsummer.com which is a USA (kids) and USMS event hosted by BWAQ for the adult side and VAST for the USA side. You've got your stroke right now get your diet right! PNA Champs is coming up April 13th and 14th and we need a lot of volunteers to run the meet. Each year we receive compliments on how well this meet is organized and it is due to the organizing committee and the VOLUNTEERS!!! Please let us know if you can help at the Registration table for two or more hours on Saturday and / or Sunday. Congratulations to Scott Lautman and Jim Littlefield on your amazing swims at the 2012 FINA World Championships! Scott set a new Championship Record in his 200 Meter Fly! Good luck to Ed, Ashley, Doug, Kim and Brian - have a great race! Fat Salmon Sold out in 4 days! Yes, it's true Fat Salmon is sold out! It took a mere 4 days to sell out this event, last year it took 14 days and the year before 1 month. The Anacortes and Briggs Y Beat the Clock results have been posted on the Event / Archived event page. We would like to give a shout out to all of our Iron Man participants in Coeur d' Arlene on June 26th! 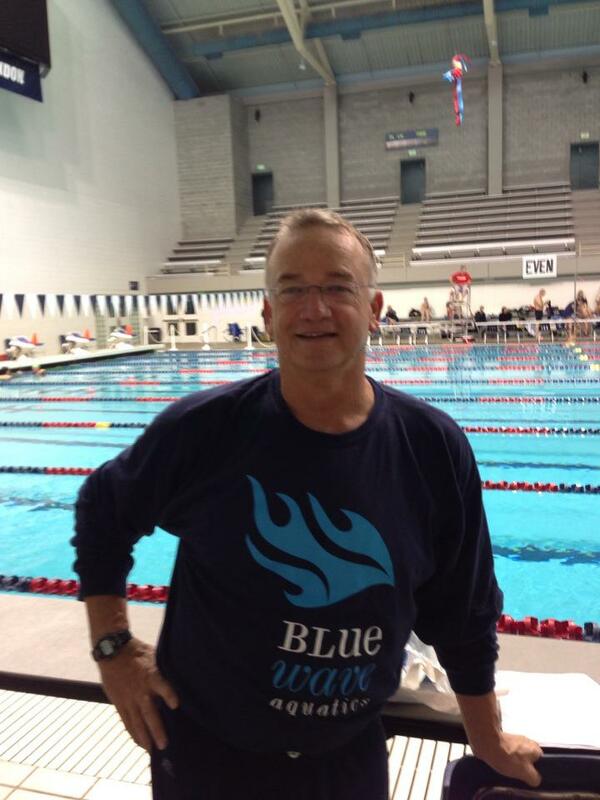 Last Gasp of Summer is a fun and challenging open water event at Angle Lake, SeaTac WA hosted by Blue Wave Aquatics (that's us!). Events include both a one and two mile event - wetsuit and non-wetsuit. 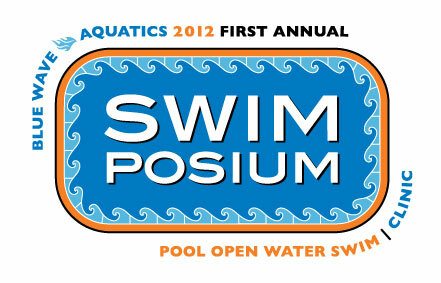 7th Annual Green Lake Open Water Swim results posted on the Competition | Archived Events. 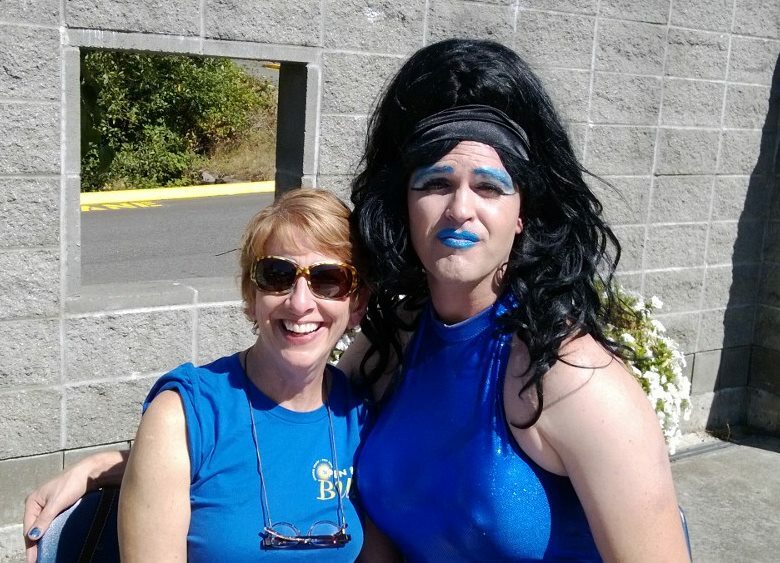 Northwest Senior Games Results have been posted on the Competition Page - Archived Events.